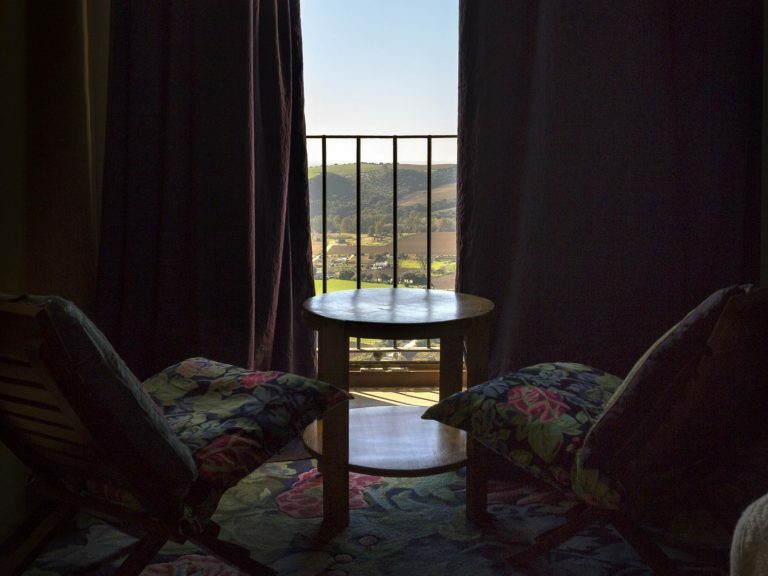 The ancient dovecote is a large double room that opens onto the roof terrace with its great views. 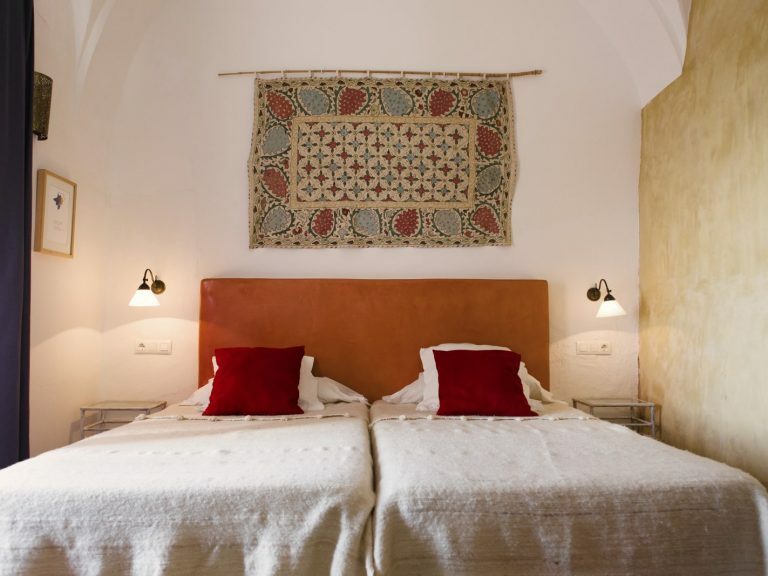 Terracota floor tiles, wooden beams, hand woven bedspreads and carpets made in Arcos. What used to be the old refuse storeroom at the top of the house it is now this large room with old floors and wooden beams that opens onto the roof terrace with its great views. It has four beds. 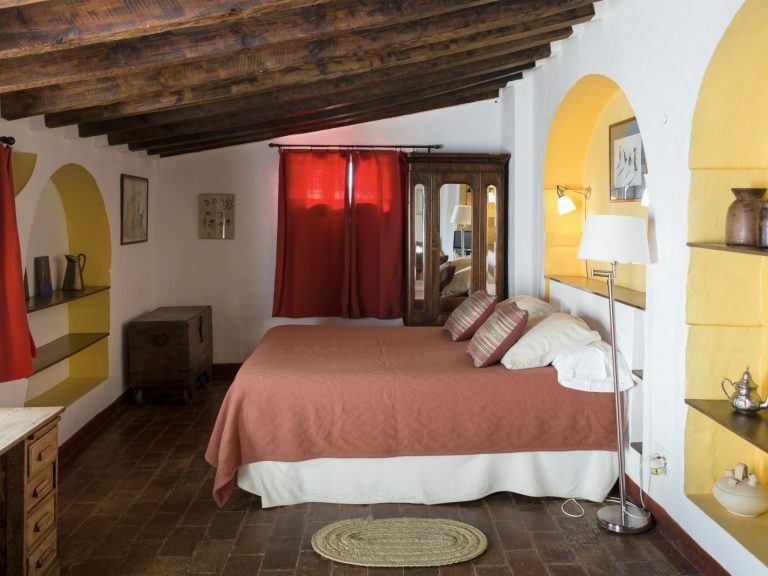 This room overlooks the Guadalete´s river valley, Saint Peter´s church and the neighbouring patios. It has 2 different rooms: a large bedroom on one side and a living-room with chimney on the other. 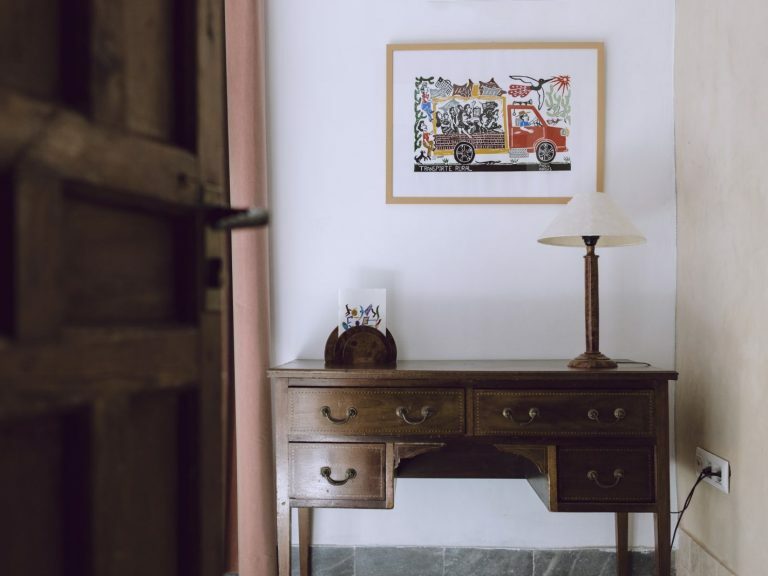 The old terracota floors polished by the years and the wooden beams in what used to be the kitchen and dinning room of the mansion give personality to this room. It is equiped with a sofa in the living-room area that can turn into an additional bed. 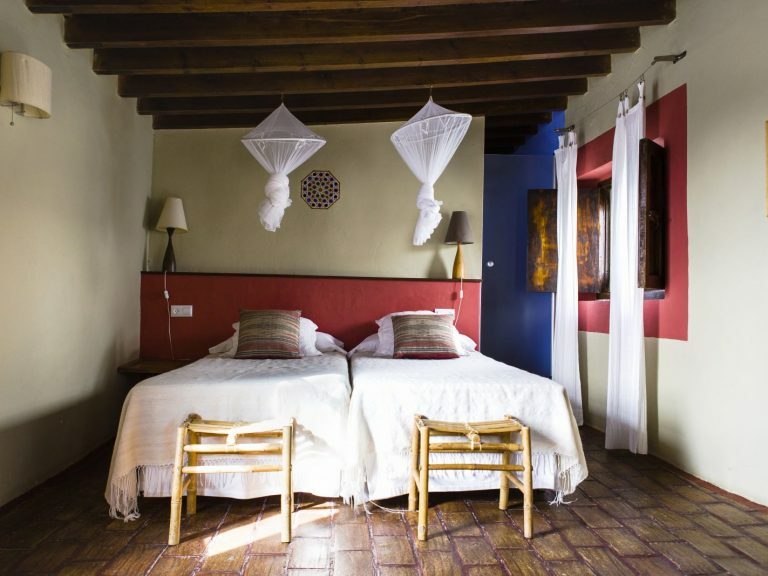 This room is now one of the many peaceful places in La Casa Grande. 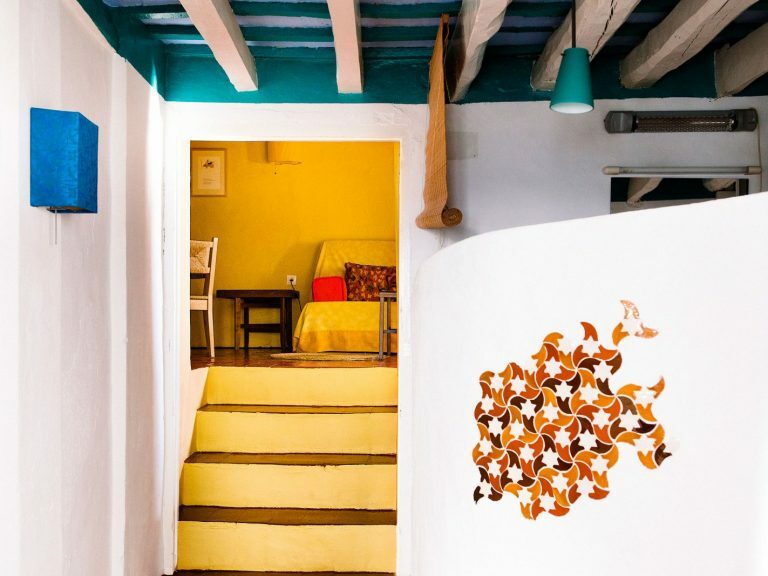 What used to be the grain/olive storeroom has been transformed in two amazing bedrooms with private terrace on 2 levels that open onto the cliff over the Guadalete river. Two large oil jars that were half buried for centuries are now arranged on the terraces. 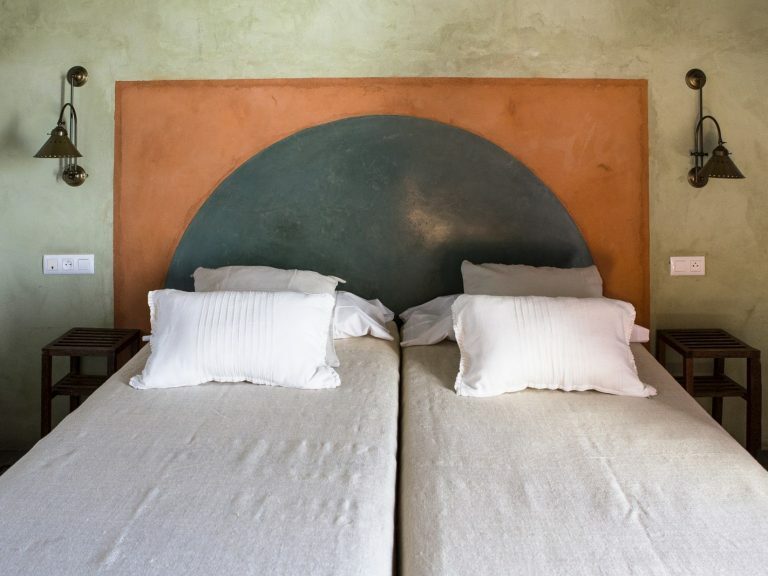 In these rooms, the ceilings are the strong vaults that have held the house for three centuries.